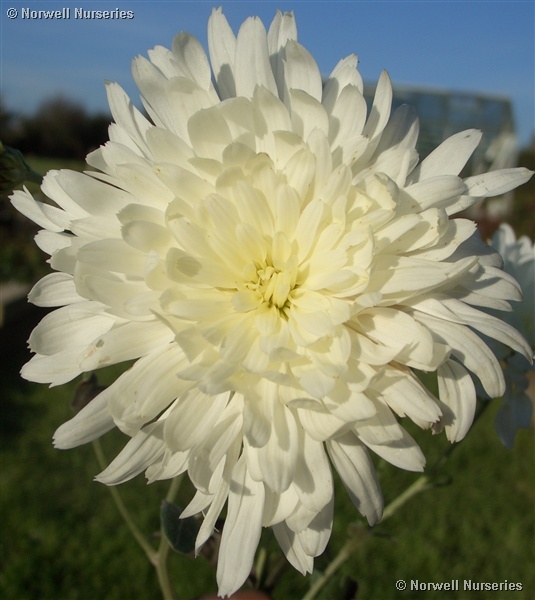 Chrysanthemum 'White Gloss' An old and sought after variety with shaggy double white flowers, similar to a very late Shasta daisy. Flowering October / November, it is most welcome in the garden and cut in the house. Thanks to Judy Barker, NCCPG National Collection holder, for this excellent plant which I have finally bulked up again to sell.